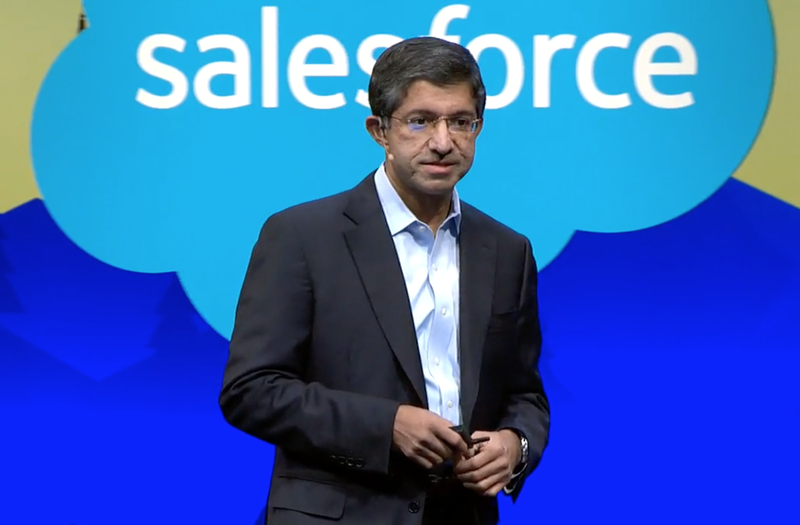 Salesforce is conducting their annual Dreamforce conference this week with a variety of speakers giving talks. One that was interesting yesterday was from Bharat Anand, who is the Henry R. Byers Professor of Business Administration at Harvard Business School. Bharat’s talk was about ‘Digital Innovation Trends Shaping Our Future’ which is also the subject of his book that is launching in 10 days. What is the problem with newspapers? Anand asked what is the problem with newspapers and what are the challenges they face? plant manager sayid it’s online news because you can get it quick, you can get it cheap, you have more variety, it’s rich media and you can personalize it. Anand points out that if you look at the New York Times between 1994 and 20110, average decline in news readership was less than half a percent a year. Be he says that classifieds on the other hand, lost 90% of those revenues. Why the difference? Anand says that a connected product means there are connections between users and that news on the one hand is not a connected product but classifieds is. This has fundamental implications for a bunch of things. Where Else Do We See This Dynamic? All over the place he says. It’s the history of digital. Microsoft vs. Apple and PC’s: Apple has probably been the best product for 30 years, but ends up with 3% market share. Why? Microsoft owned the networks. More buyers, the more likely that other people will buy PC’s because we want to share files, more buyers more app developers, more buyers more app developers and so on. What’s interesting about this is that we have just seen the greatest corporate transformation in history, where Apple’s market share in PC’s has increased from about 3% globally to around 9% globally. Barely moved the needle. Conversely, we’ve seen a company (Microsoft) that probably makes every mistake known to mankind, and yet top 5 in market cap. That’s the power of networks. Facebook vs. Google+: When Google+ came out many people said, this is a better product, allowing you to create circles of friends (and much more), until someone said, there is no one playing in the sandbox but me. eBay marketplaces: When it wins around the world, it wins big. When it loses, like in Japan and China, it doesn’t go from 80 to 75%, it goes all the way down to zero and exits the market. Uber: What’s interesting is that when they started Uber Black with their own drivers it was sort of going nicely. But when they opened up to partner drivers, exponential growth. Again the same dynamic. He also gave the example of how building tools can help news organizations create a network dynamic. Trove is a personalized news reader build by the Washington Post that was doing okay, but took off after they connecting it to Facebook, prompting millions of new readers. Unfortunately, Facebook later changed their algorithm! What did the newspaper do? The had their IT team build an app called Hitchhiker Central that became the most important product featured during this crisis, with everyone in Europe using it. Now, every time there is a major news event Schibsted asks, how can we help readers help each other? “As a result, their front page traffic is off the charts, online CPM’s are as high as print CPM’s, which is unheard of in the Western world,” says Anand. He says that if you win the network game that often trumps product quality.